First line: "Sunrise is coming," Balthazar said. Vampire-in-training Bianca is dead, but still around as a mostly non-corporeal wraith. Her star-crossed lover Lucas has unwillingly been turned into a vampire. How much of a romance can this be with two leads who are both dead, only one of whom has a body?? Bianca and Lucas both still have that very restrained, mature approach to life - possibly because they're both only children, raised in circumstances where they don't interact much with other people their own age. (In Bianca's case, her parents and family friends are not just decades older, but in some cases, centuries older.) At several points in the story, it felt as if Bianca and Lucas were college seniors, not high school seniors. Their loyal vampire friends hunky Balthazar and quirky, about-a-thousand-years-behind-the-times Ranulf as well as human Vic all get the opportunity to assist Bianca and Lucas as they fight their way back to Evernight boarding school and attempt to figure out if there's any cure for their predicament. 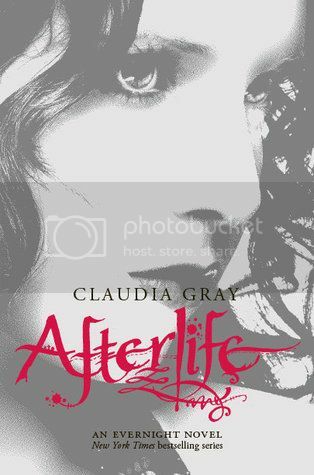 We get a lot more of Evernight Academy's headmistress Mrs. Bethany's backstory in this novel, and the mystery of how and why the wraiths are connected to humans being admitted to the secretive formerly all-vampire academy is revealed. Did I miss something? Whatever became of Balthazar's sister, the threatening and insane vampire Charity? Gray shocks readers yet again, with another surprising twist at the end of this book. While dramatic endings should be expected by now, it's honestly, a turn that readers will not see coming. It wasn't the ending I was hoping for. I want to say more, but I don't want to spoil it, either. The ending wasn't satisfying, but it didn't want me to make me throw the book across the room either. Much like Romeo and Juliet, it seems that Bianca and Lucas are not destined to make a life together after all.